The SIUE Police operate under a community oriented policing philosophy which sets the foundation for providing quality service based on high, ethical standards. It includes being responsive and responsible to the community by building partnerships with students, faculty and staff. SIUE Police are highly visible through bike patrols, foot patrols, and vehicular means. 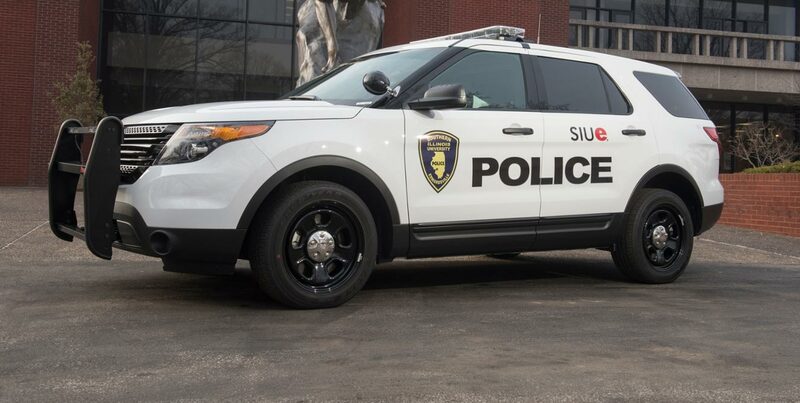 SIUE Police offer numerous crime-prevention programs on request – such as Campus Violence Prevention, Sexual Assault Prevention, Personal Safety and Workplace Violence Prevention – which lend to a safe and secure campus. Community Oriented Policing (COP) is an organizational wide philosophy and management approach that promotes community (students, staff and faculty) and police partnerships, proactive problem solving efforts, and community engagement to address the causes of crime, fear of crime and other community and University issues. Community Oriented Policing is proactive policing that focuses on identifying and preventing crimes and/or potential crimes rather than simply reacting to crimes after they have occurred. One of the basic tenants of Community Oriented Policing is the formation of partnerships within the campus community to help create a police department that is much more responsive to the needs and desires of the campus community than is traditional policing. Community Oriented Policing also uses a much more visible and approachable delivery of police services through various community presentations and the use of foot patrol and bicycle patrol in addition to routine vehicle patrol. With this in mind, it is the mission of the SIUE Police Department to provide quality service based on high ethical and professional standards. This is to be accomplished by working in partnership with the campus community to allow the SIUE Police to be more pro-active as opposed to the traditional reactive way of policing. To help guide us in our mission to promote public service, SIUE Police will focus on standards and philosophies that include community-oriented policing, quality leadership, and a commitment to the campus community through courtesy and excellence, as well as a people-oriented environment. SIUE Police has recognized that the traditional method of policing is primarily reactive in nature, ineffective in proactively identifying the concerns of the community and frequently provides only a short-term solution to many problems. To identify campus concerns and develop long term solutions to problems, it is essential that SIUE Police work closely with all facets of the campus community. This is the very essence of community oriented policing. It offers a way for the police and the campus community to work together to resolve problems. Campus institutions are the first line of defense against disorder and crime. Police must function as a part of the campus community and the community as part of the police department. Effective community policing depends on optimizing positive contact between the SIUE Police and the campus community. University Police and the campus community must work together to be problem solvers with problem-solving efforts being limited only by the imagination, creativity and enthusiasm of those involved. Together, the campus community and the SIUE Police must make a commitment towards crime prevention and crime intervention in order to provide for the safest and most appealing community atmosphere, which is conducive to the highest learning level available for the students and other campus community members.